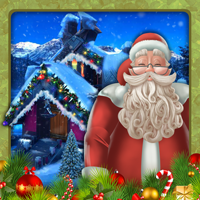 Description: 2148-After releasing the Santa Claus in his house ,we find out the clue to reach this Shelton house. Here we need to collect the powerful ball and liquid. Because it will be helpful to After collecting the Power ball , we have to mix the liquid into the Power Ball and get the portal to next episode.